There is such thing as the best tortilla chips.... and damn Chicago, you better not take the best for granted. 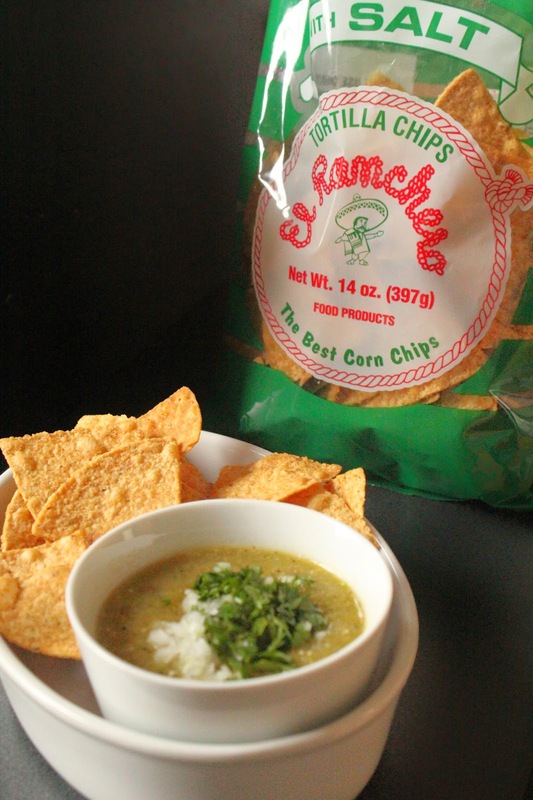 El Ranchero chips -- loving known as the green bag chips -- are legitimately on the short list of things I miss about Chicago. 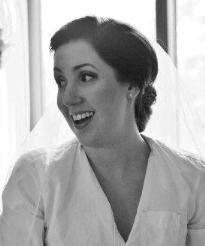 Yes the friends and world-class restaurants were great, but the damn tortilla chips were the tops. Another Chicago expat friend of mine was kind enough to pick up a bag for me and you can't possibly enjoy such a scarce resource with gross jarred salsa. It was only appropriate to make a great salsa inspired by one of Chicago's best chefs, Rick Bayless. Mexico One Plate at a Time on WTTW was always one of my winter guilty pleasures. 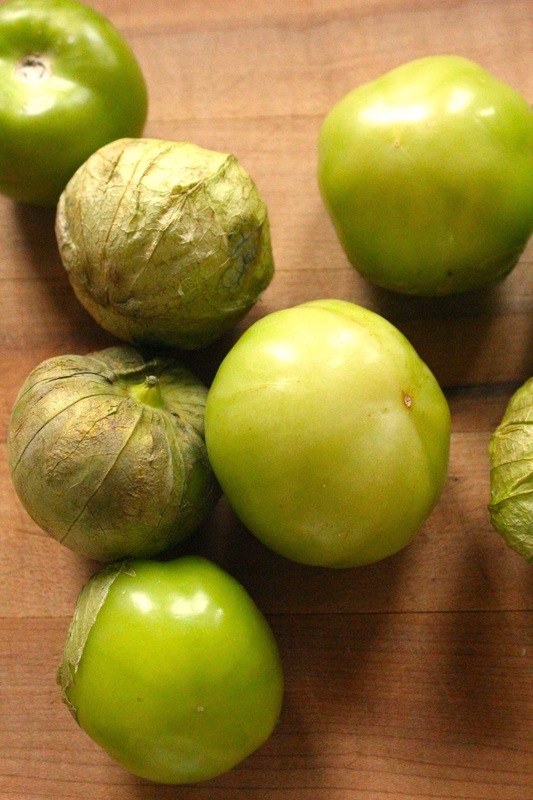 Tomatillos are readily available in grocery stores and make for a nice departure from the typical tomato stuff. The green color is gorg too. 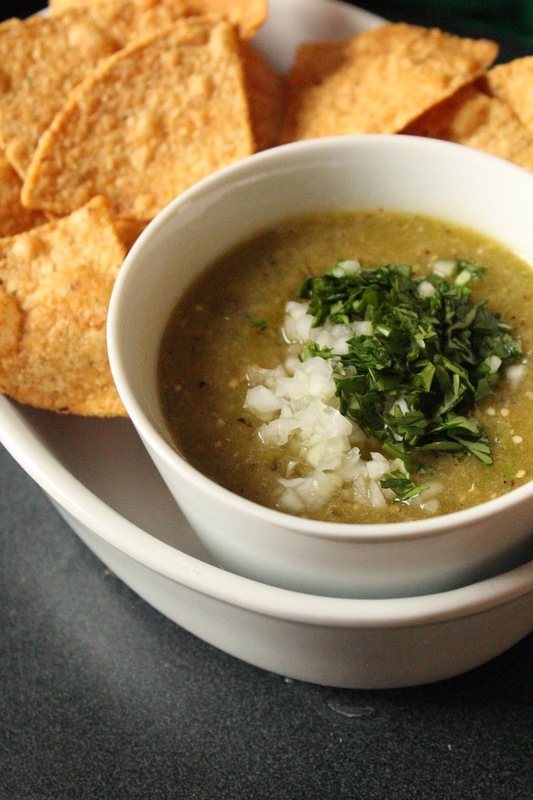 Homemade salsa is really easy when you make it in the food processor. Totally worth 5 minutes of effort when you compare with the quality of most jarred salsas. Heat broiler to high. Halve tomatillos and place cut side down on baking sheet. Broil for 4 to 5 minutes until slightly blackened. 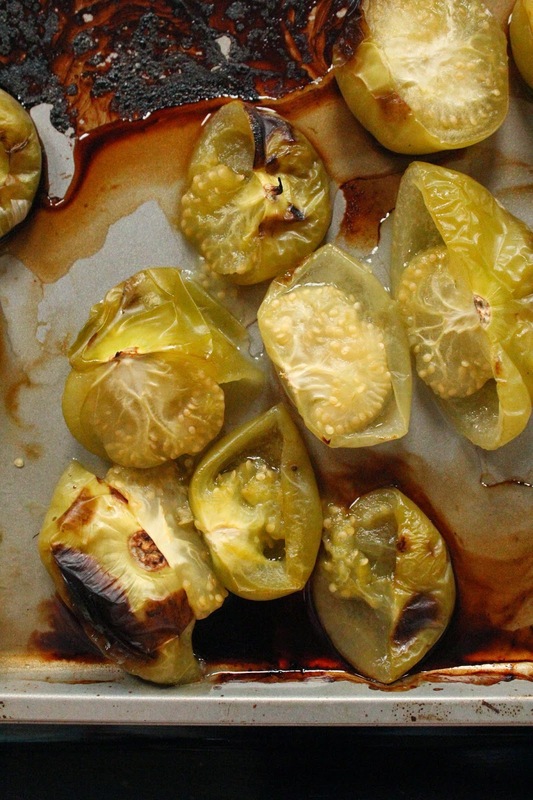 Use tongs to flip over tomatillos and broil for another 3 to 4 minutes. 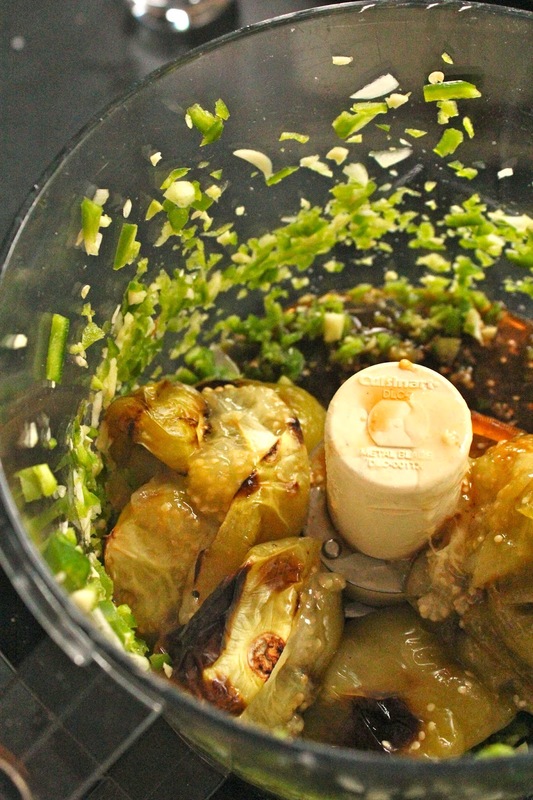 Add roasted tomatillos, jalapenos and water to food processor and buzz until smooth. Taste and add salt, tasting until just right. Rinse onions under cold water before adding to salsa with cilantro. Serve and enjoy with the world's best tortilla chips (or whatever you can find). This looks delicious and SO easy!